On the way to Jemez Springs, turn off of Hwy. 4 onto NM 290 to Ponderosa – the only village in the country with it’s own zip code. Sample award winning wines and buy a bottle for later. Return to Hwy. 4 north. 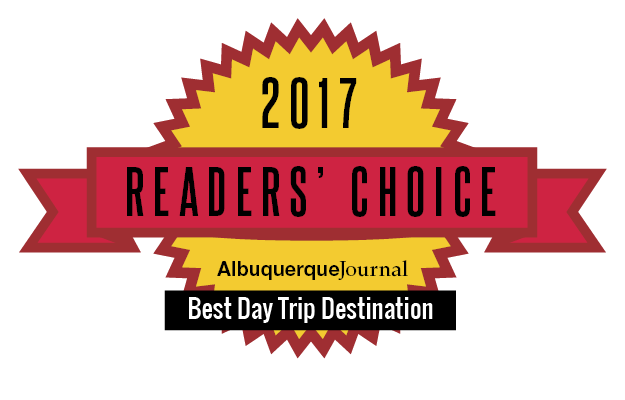 Pick up an Indian Taco on Jemez Pueblo on the way to Jemez Springs along Hwy. 4 at Dave’s Burger’s OR enjoy the mountain view across from Walatowa Visitor Center where pueblo food is sold. Stop at Walatowa Visitor Center to learn about area history and culture through exhibits, artifacts. Sign up for Red Rock Canyon guided tour the next day. Learn about Jemez Valley’s history and check out the Jemez Springs Public Library’s historical collection of stories and photos of the area. Duck into Jemez Bath House and check out their gift shop, and see the original holding tank where the hot springs came up to the surface, turning Jemez Springs into a tourist destination. Visit Our Lady of Assumption Church built around 1900 by the Otero and Perea families and the Presbyterian which has stood for more than 120 years. 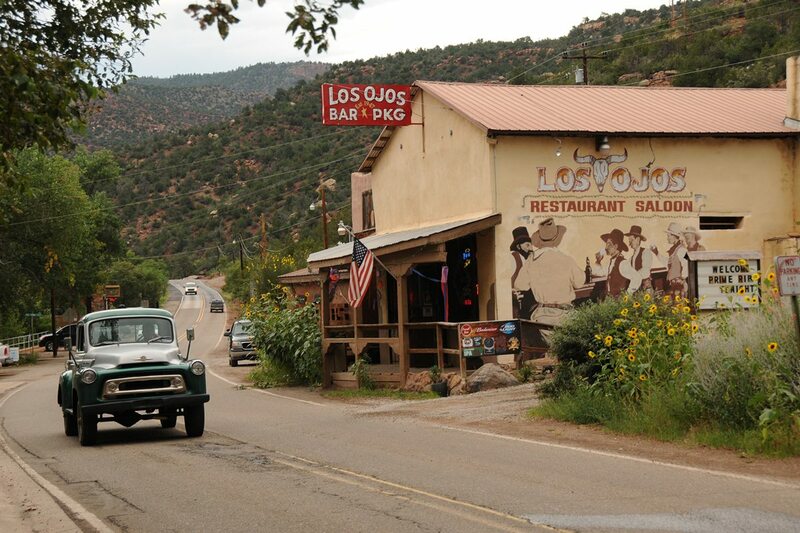 Set foot in Los Ojos Saloon and Restaurant, built in the 1800’s, with the second oldest liquor license in the state. See the original bath house built by Moses Abouselman at Jemez Hot Springs in 1912. Gallery and hot springs located inside.